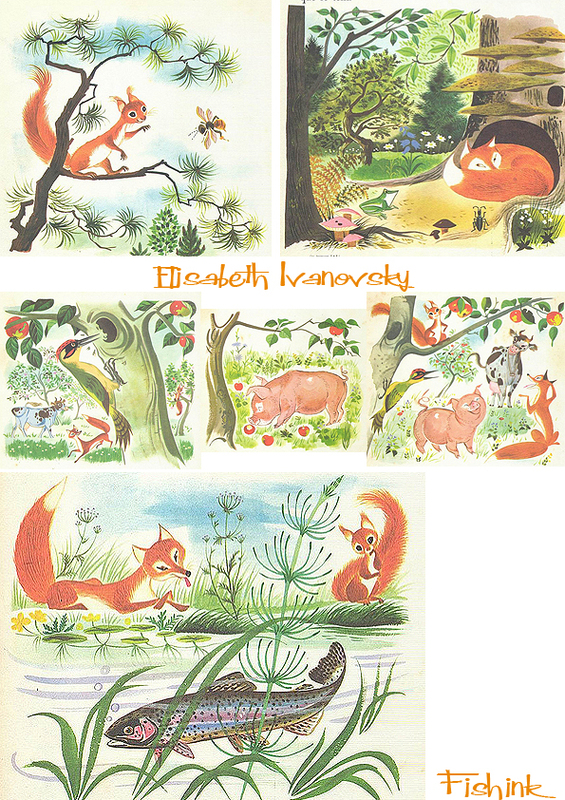 Elisabeth Ivanovsky was born in 1910 in Kisjinev (capital of Moldova). In 1932 she leaves her country and she comes to Belgium where they are in the Institute of Decorative Arts (La Cambre) register. For three years following the lessons of Joris Minne (ventilation) and Herman Teirlinck (theatrical sets, costumes). The French novelist and poet Franz Hellens, a member of the jury in 1934, observes her extra-ordinary talent, set his house open for her, involve her in his work as a writer and asks her images to create in some of his books, to Bass Bassina Boulou. 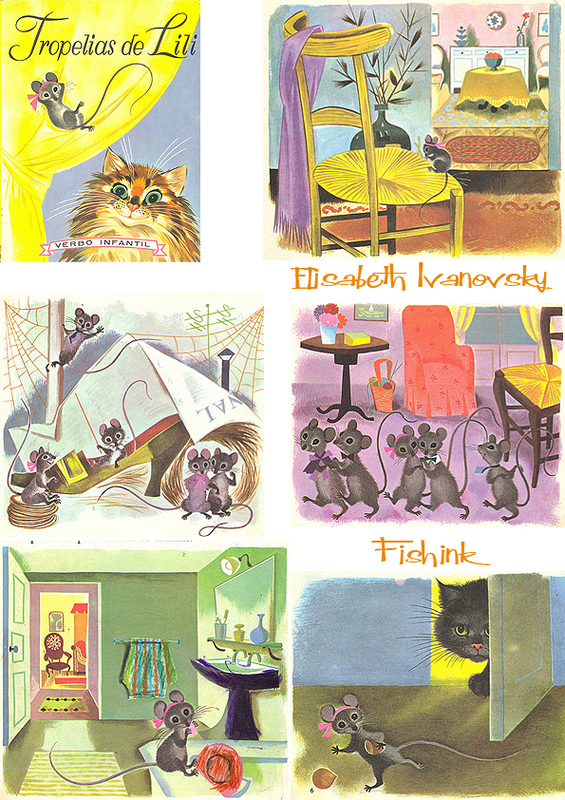 Thanks Elisabeth Ivanovsky Hellens comes into contact with the then Belgian literary world. She meets the Walloon poet René Meurant, whom she marries, and some members of the ‘Front de Gauche literary’. Several French writers call upon her, among them: Marcel Lecomte, Armand Bernier, Daniel Gillès, Geo Libbrecht. Also some Flemish writers like Stijn Streuvels and Ernest Claes, ask her to ventilate their books. For the Belgian “Editions des Artistes” she realized, between 1940 and 1950, a series of miniature books that extraordinary success know under the name “Pomme d’Api”. 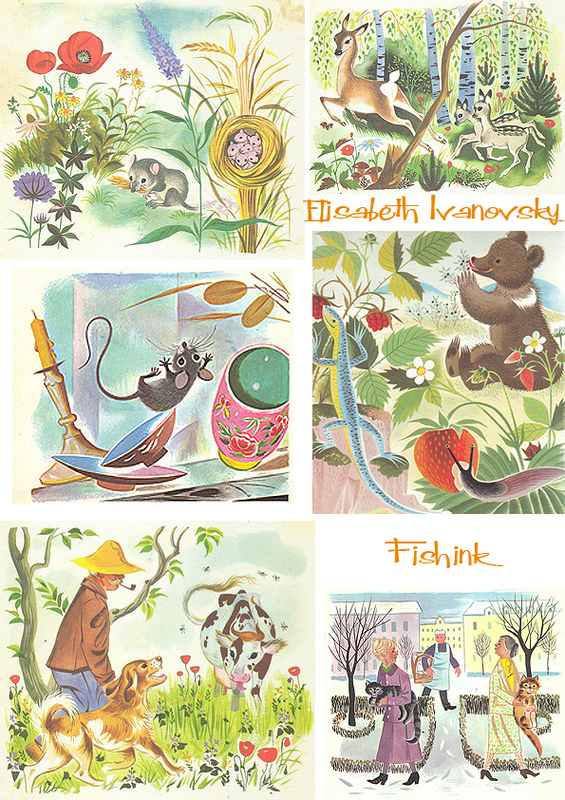 After the war and until today they mainly illustrates books for young people and particularly books for small children whom they daily global tender, lyrical and with sense of humor describes. 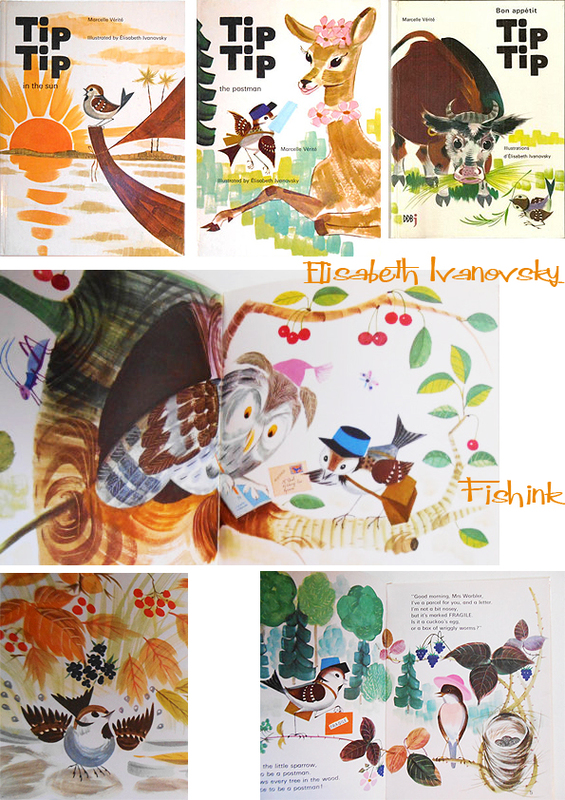 Elisabeth Ivanovsky is today rightly considered the dean of book illumination in the French Community. Her universe deserves renewed attention of the public to be brought, especially in its relation to the literature. Therefore organizing the “Archives et Musée de la Littérature” this exhibition: thus tried the different facets of Ivanovsky’s artistic personality to highlight. 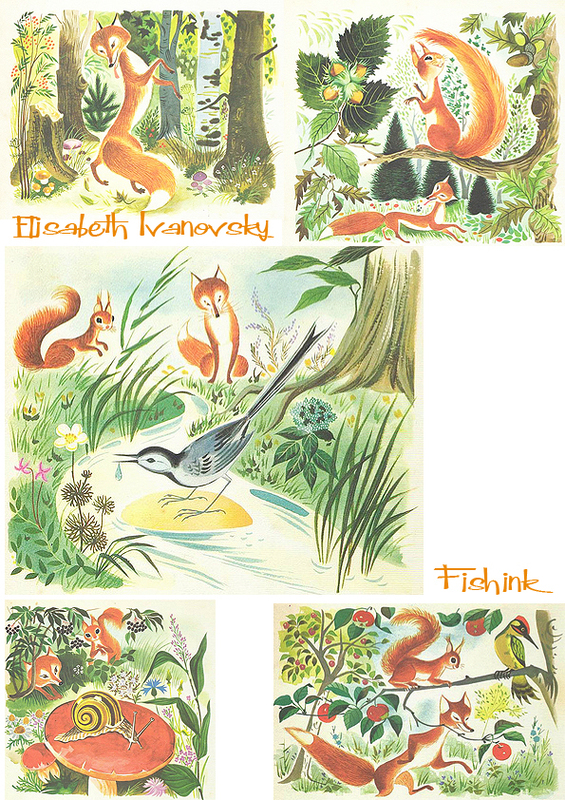 Sadly Elisabeth passed away in 2006 and in 2010, the Youth Literature Centre in Brussels held a conference and tribute in her honour, highlighting the major role she played in children’s literature post WWII. 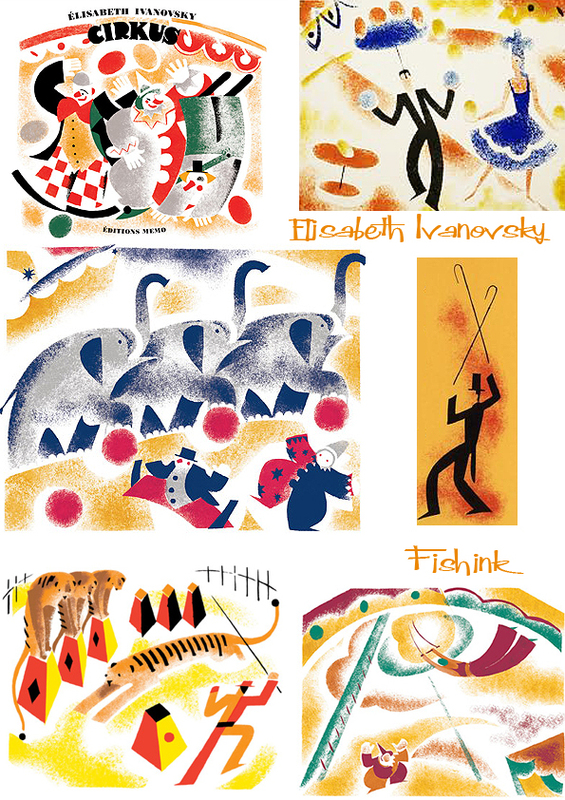 Isn’t it great to discover someones work from over 60 years ago and be able to relate and take joy from them too. Glad it’s had that effect on you also. 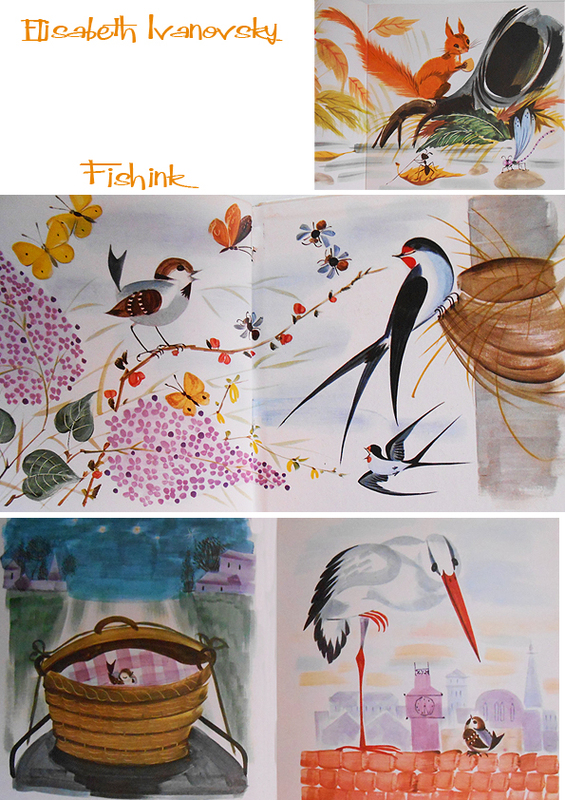 Thanks John, some fab drawings on your site by the way.